Steve Lienhard knew he had a young team at Kansas' Kapaun Mt. Carmel High School in 2014. What he needed to do, he told Catch It Kansas that March, was get his players to believe in themselves. "It's all about trying to build confidence in young guys," Lienhard told the site. "[I'm trying] to develop some confidence in those younger guys, so when we step up to later in the season, playing the better competition, hopefully they'll be ready to step up." Lienhard spoke from the experience of both a player and a coach. He played six seasons in the minors. He's since coached in the pros, college and high school. 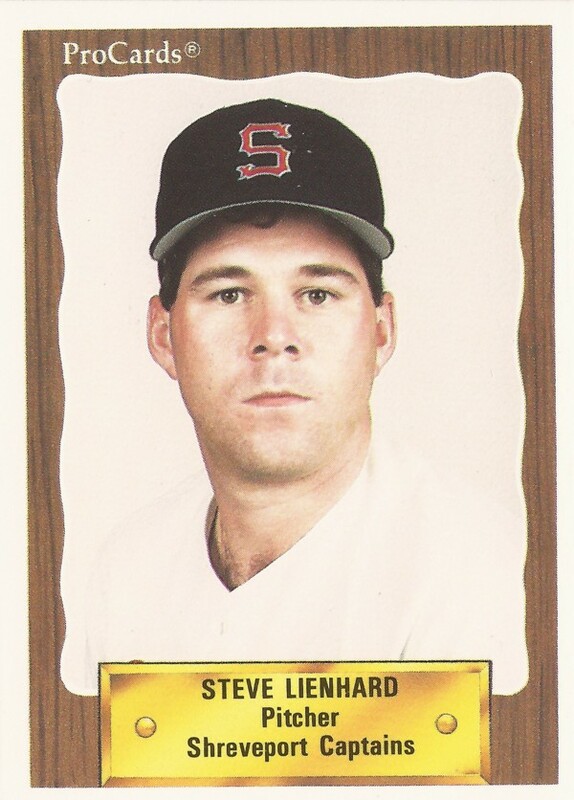 Lienhard's long career began as a player in 1987, taken by the Giants in the 29th round of the draft out of Oklahoma State University. Lienhard started with the Giants at rookie Pocatello. He went 3-6, with a 5.96 ERA over 14 outings, 12 starts. He then moved to single-A Clinton for 1988 and improved to 12-7, with a 2.93 ERA. At single-A San Jose in 1989, his ERA dropped even further to 1.79. 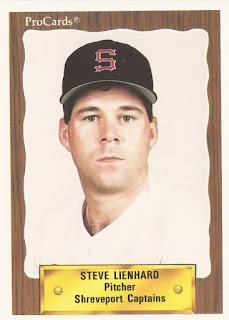 Lienhard played 1990 at AA Shreveport, getting 48 outings, six starts, with a 2.50 ERA. He moved to the Brewers system and AA El Paso for 1991 and seven games in 1992. His time in 1992 marked the end of his playing career. Lienhard soon returned to the Giants system as a coach. He coached 1993 and 1994 at single-A Clinton, then 1995 at rookie Butte. For 1996, he moved to the college ranks, signing on as an assistant coach at Kansas University. He told The Lawrence Journal-World he sought time at home after pro coaching time that kept him away. "I'm excited as I've ever been about anything," Lienhard told The Journal-World that January about the move. Shortly after that, Lienhard spoke to a Little League team that included a 13-year-old Mike Pelfrey. Lienhard took Pelfrey under his wing and helped in his development, helping see Pelfrey off to a long major league career, according to The Newark Star-Ledger. By 2009, Lienhard was with Kapaun. He spent part of his time as coach there overseeing his son Joe Lienhard's development. In March 2016, with his son off to Oklahoma State, Lienhard had confidence that his team would fill the hole. "It's going to be tough not having my son playing for me anymore," Lienhard told VarsityKansas.com. "I feel like we've got a strong group of juniors that are willing to step up and take his spot. We've got four or five juniors that can really throw the ball and can mix up speeds."